Are you looking for a career change? Our Doylestown, PA, apartments are located in the perfect place near top employers to find the job of your dreams in a variety of fields. Our proximity to Route 611 and the Pennsylvania Turnpike offers an easy commute to Center City Philadelphia, Warrington, Horsham, and Princeton, NJ, which boasts a wealth of career opportunities within reach. Regency Woods offers quality apartments with the serenity of the suburbs and the convenience of the city. Surrounded by fine dining and distinctive shopping among Doylestown’s eclectic and artistic architecture (as well as nearby New Hope) you will enjoy the area’s subtle charm and distinctive location. With more than 2,000 businesses in and around Bucks County, you will find your ideal fit in fields such as advertising, retail, computers and internet services, engineering, and medicine among many others. The Central Bucks Chamber of Commerce additionally offers several networking opportunities and job fairs within the region. In addition to the location, our Doylestown, PA, apartments are the ideal complement to maintain a work-life balance. 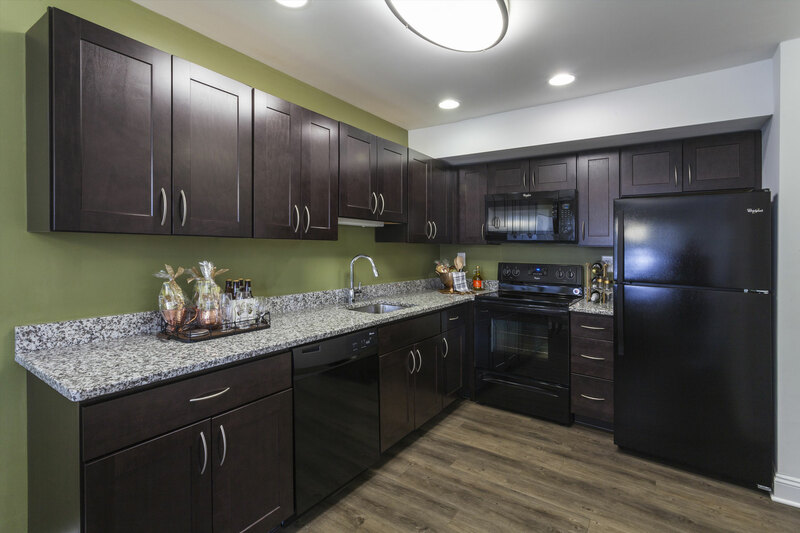 From brand-new kitchens to in-unit washers and dryers, you will have everything you need to start and finish your day right. Our sparkling pool is perfect for relaxing by on your days off. No matter where your job search leads or what a day at the office may bring, Regency Woods will work for you. Call us to learn more about employers near our Doylestown, PA, apartments as well as our beautiful community. Schedule a tour today!